Roofed gateway (the southern lychgate) to the churchyard of Visby Cathedral. 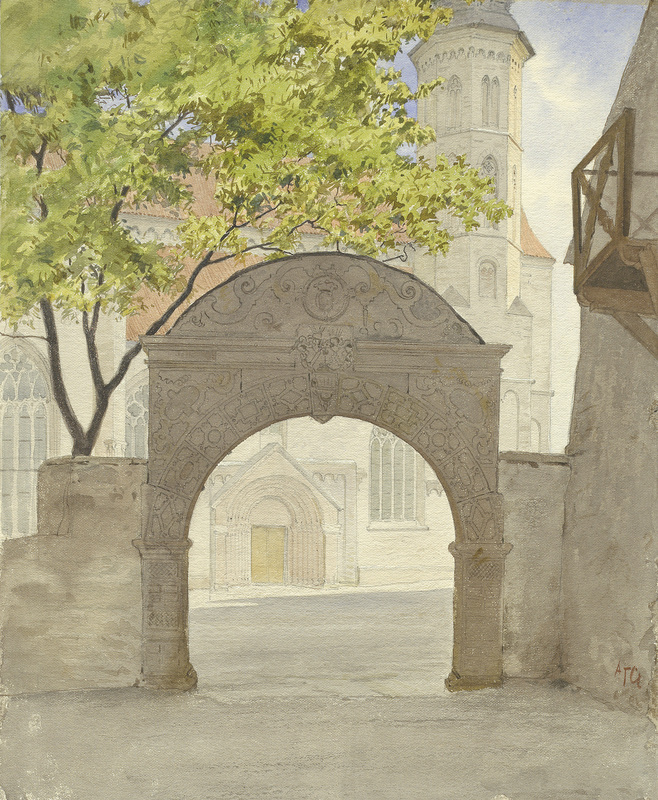 Watercolour by A.T. Gellerstedt, from the later half of the 19th century. Överbyggd port (södra stigluckan) till Visby domkyrkas kyrkogård. Akvarell av A.T. Gellerstedt, från 1800-talets senare hälft. [https://www.flickr.com/photos/arkland_swe] Great, Lars! Thanks for posting the link. /Anna B.